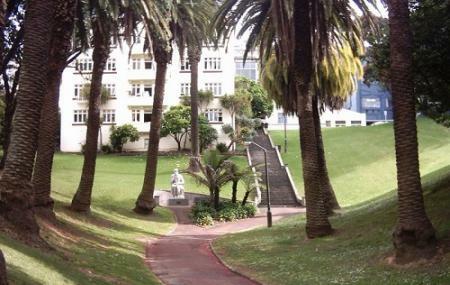 The Myers Park is one of the most quaint green spaces in Auckland open to public anytime of the day. Walk through pathways that meander around trees and a pleasant grassy area where you can lie with your favourite book. The swing and playground area along with the nearby eateries invite locals for a quick breather. Grab a coffee at a nearby café to later take a relaxing walk here. How popular is Myers Park? People normally also visit Skycity Casino while planning their trip to Myers Park. Lovely park with a variety of things to do. Very easy access to Queen Street via the other streets. Lots of kids and couples relaxing. Open areas for sunbathing. Definitely recommend coming here with friends and family while in Auckland. Bring a camera. Close to lots of restaurants near by and the great Amora hotel. We spent there the afternoon with the kids - the weather was great and was great to let kids around in this variety of things to play. I'd be concerned in hot weather from sunburn. The place is good fun. Great central city park. Loads for toddlers and up to enjoy themselves. Love the thought that has gone into it. If only all parks were this neat. Great little park in the city centre. Beautiful since the council has done it up. Kids playground and large water fountain activity on hot days. Excellent safe place to walk the dog and clean public bathroom. A nice peaceful place to relax in the middle of the city. Great playground for kids. Lots of benches to sit on. If you prefer sitting on the grass, also a great option.